EltaMD UV Facial Broad Spectrum SPF 30+: Does It Hold Up To Claims? EltaMD is a known dermatological company which produces cosmetics and skincare remedies. They are a well-known company with a strong team of skincare experts. Their products are generally known to be effective. This is a positive indicator that this is an effective product. How Does EltaMD UV Facial Broad Spectrum SPF 30+ Live Up to its Claims? When it comes to protecting skin from UV rays, EltaMD UV Facial Broad Spectrum SPF 30+ is certainly convincing. 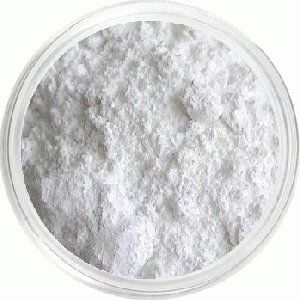 Its ingredients list Zinc Oxide which is a known dispersant of UV rays. Its 30+ SPF rating also means it is one of the most effective protections. 45 SPF products only block 1% more UV rays than SPF 30. For moisturization, EltaMD UV Facial Broad Spectrum SPF 30+ relies on hyaluronic acid. While hyaluronic acid has been shown to cause irritation in overly sensitive skins, EltaMD UV Facial Broad Spectrum SPF 30+ is surprisingly easy on the skin. Hyaluronic Acid is one of the most effective tools for distributing moisture throughout the various layers of the skin. It has the added benefit of dissolving and removing flaked, dry skin. EltaMD UV Facial Broad Spectrum SPF 30+’s primary age-preventative ingredient is simple vitamin E. Vitamin E is necessary for your skin’s health and acts as a hefty antioxidant. Vitamin E will defend your body from free radicals carried by solar radiation. It nourishes the skin helps it to regenerate existing damage. This product is superior to many other for a few reasons. First it is very convenient to apply. It goes on transparent and will not leave visible smearing. It is much slicker than most oil-based products and will not leave grimy residues. Your skin will feel fresh immediately after applying the sunblock. Because of the gentle nature of EltaMD UV Facial Broad Spectrum SPF 30+, you may apply it even if you have recently received skin-enhancing procedures like peels or laser therapy. It also remains effective when used as a base layer beneath standard cosmetics. The main drawback of this product is the fact that it needs to be generously reapplied. It is only effective for as much as two hours after initial application. This product certainly lives up to the claims of EltaMD. It delivers on each of the promises made with targeted ingredients that have been proven to work in countless studies. User reviews are positive and people see results in a matter of days with consistent use. If you are looking for a powerful sunblock that will cure all of summer’s skin ailments, this product is certainly the most effective on you will find.